The Candy Hill name comes from an interesting past. No, it is not what most guess, we are not candy givers nor are we a Christmas themed park. The truth behind the story is that years ago there was a farm house where our campground now stands and as a story book would say, there was a little girl who lived there. She had a dog who passed away and was buried on the hill behind the farm house and luck have it, the dogs name was Candy. 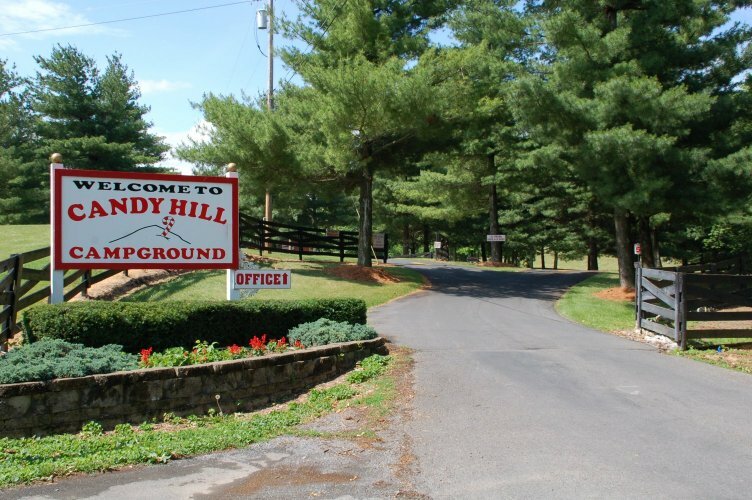 From then on the hill was referred to as Candy's Hill, hence our name, Candy Hill Campground. And now you know the true story! 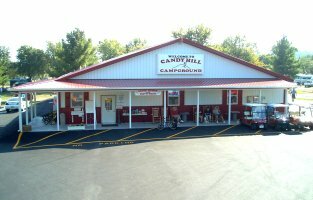 Candy Hill Campground was established in 1979 and built from the ground up, bringing in load after load of topsoil and dirt in order to cover the jagged limestones in the ground that are so typical of the Winchester area. After 19 years the campground was purchased by the Littman Family early in 1998. The Littman family work to maintain the campground and continuously improve the facilities and offerings.